During the summer break that has just ended, we had some (renewed) trouble with incessant screen time requests. I remembered that screen time tickets worked perfectly a few years back when we last used them, so why not try again? 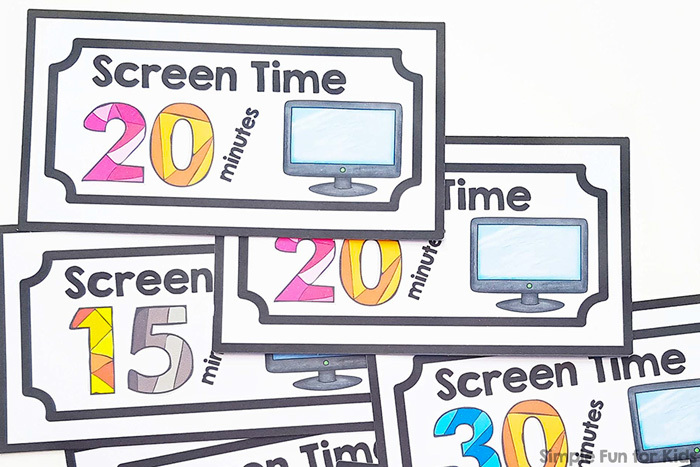 I made these cute Printable Screen Time Tickets for my kids and thought I’d share them with you in case you have a use for them. One or more sheets of paper. 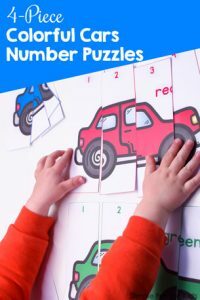 The file includes five pages of screen time tickets in different denominations from 10 minutes to 60 minutes plus one page with blank screen time tickets that you can add your own numbers to. 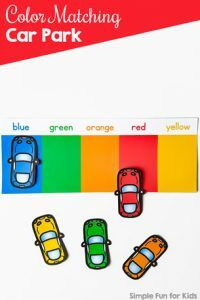 One page has six tickets whose denominations (from 10 to 30 minutes) add up to 2 hours, the other four have six tickets each with the same denomination: 60 minutes, 30 minutes, 20 minutes, and 10 minutes, respectively. Print out the page(s) you need, cut apart the tickets, and hand them out by the day, week, or however it works best for you. 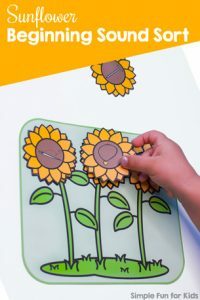 They also make great rewards for a job well done if screen time is one of your kids’ currencies. 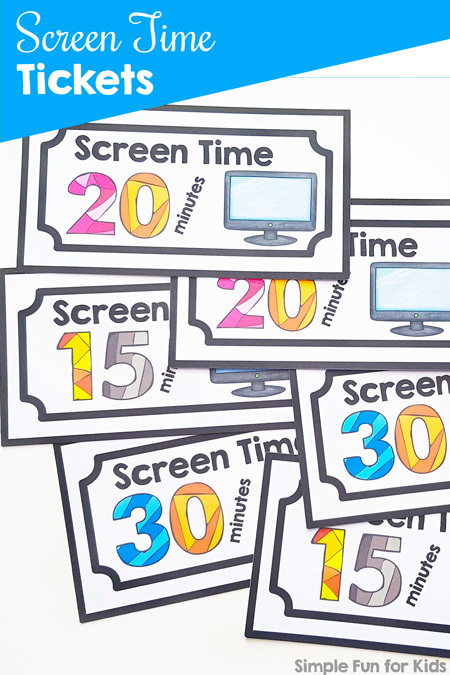 Download your Printable Screen Time Tickets! Please enter your name and email address to subscribe to my twice-weekly newsletter and get the download! 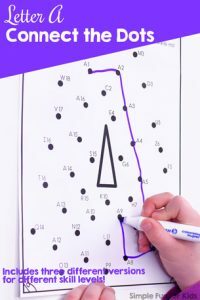 Are you looking for educational printables? I’ve picked out a few great ones!